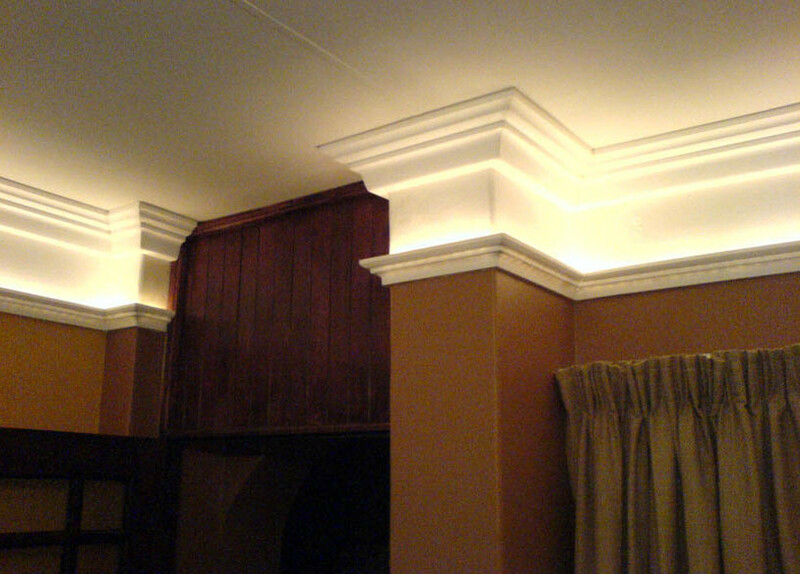 Crown molding, a visual treat that adds a touch of elegance. Crown moldings made of wood come in hundreds of profiles and can be stained, painted, or left natural. Reno Plus likes to add a touch of class by adding LED lights that can set for any mood simply with a touch of a button on a remote.